Q. I’m worried about being too slow, will I get left behind? A. We have a huge range of abilities, but all support each other no matter how fast or slow we run. Just come and give it a go, there’s no need to sign up or commit at any time. If you are a complete beginner with no running or fitness experience, or are coming back from a serious injury, we will recommend Couch to 5k which we will aim to run a few times a year. We have a separate Facebook group for our Couch to 5k-ers and will highlight any other local groups supporting the programme. Q. Do I need to be a member to run with you? A. No! We started as a free social running group and we’re keeping that ethos whilst also offering affiliated membership. The benefits are outlined here, but we will accept anyone at our training sessions whether affiliated or not. Q. Who runs the club? A. We have a committee, which is voted in by the members. Only affiliated members are able to vote and stand for election, but we welcome feedback and suggestions from anyone who runs with us. Q. How committed do I need to be? A. Up to you! Some or our runners drop in every now and then, some come to every training session, and some can’t make any sessions but always wear our kit for races and other events. Q. Do you offer training for other disciplines? A. We are a running club first and foremost, however there may be related unofficial sessions, such as swimming and cycling, which we share on our Facebook page. These are usually organised by our runners and are not ‘official’ CDF sessions. Q. Can I enter a race with CDF Runners as my club if i’m not a member? A. If there is an club option for an unaffiliated entry, please select CDF Runners if you want to. Q. Do I get a club t-shirt or vest with my membership? A. No, you will have to purchase your own kit separately. We do not offer kit as part of the membership as many of runners will have kit already, and we want to keep the membership fee as low as possible. Q.  Do I have to wear CDF kit at races? A. It depends. Some races require CDF kit, but these will be races that the club organises and we’ll make it very clear this is the case in the lead up. If you are an affiliated member, we’d really like you to wear our kit at races to show your support, but if you want to wear something you’re more comfortable with or a charity vest, then you are able to do so. Unaffiliated members are welcome to wear CDF kit but are under no obligation to do so. Q. I’m already a member of another club, can I join? A. Yes. Anyone is welcome to run with us, regardless of other affiliations. However, if you want to become a paid up member, you’ll need to go through the Welsh Athletics transfer process before filling in our membership application.